Maria Cristina Bellucci lives and works in Rome. 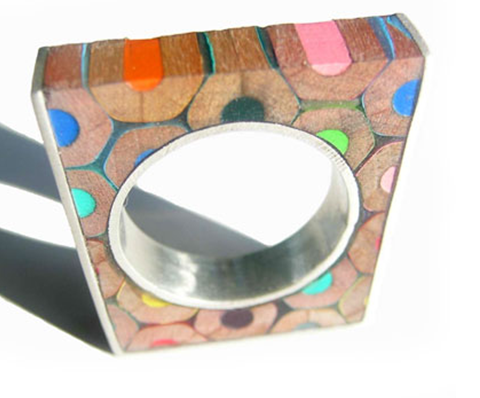 Her collection of colored pencil jewelry is very pleasing to the eye, the medium adding texture and a rainbow of colors to each piece. C’est très beau! Mais comment fait-on ça? 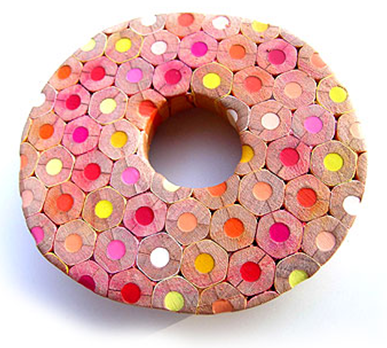 on colle des crayons ensemble et on les scie? This is a question for the artist, not for “Recyclart”….